Note. This is a modified version of Section VI, Chapter 5 of God Betrayed: Separation of Church and State/The Biblical Principles and the American Application; Chapter 5 of Separation of Church and State/God’s Churches: Spiritual or Legal Entities? From IRS Publication 1828. Click the image to go to the publication. 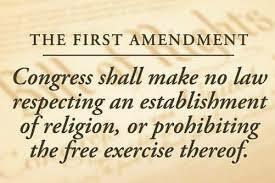 Parts of the IRC violate the First Amendment Religion Clause because those parts constitute a law respecting an establishment of religion which invites churches to give up their protection from civil government control and their free exercise of religion. The purposes and effects of that law is the subject of this chapter. The relevant IRC sections constitute an unconstitutional exemption-control scheme that allows the federal government to not only control and define “church,” but also to teach satanic principles to a church. Churches which incorporate are legal entities. Churches which incorporate and get 501(c)(3) status are legal entities. 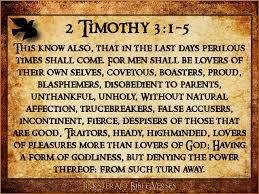 Such churches have “a form of godliness, but den[y] the power thereof” (See 2 Ti. 3.5). They are ignorant and unconcerned regarding the biblical issues of the sovereignty of God, state, church, and separation of church and state. That is because “they will not endure sound doctrine; but after their own lusts shall they heap to themselves teachers, having itching ears; And they shall turn away their ears from the truth, and shall be turned unto fables” (2 Ti. 4.3-4). Incorporate and get 501(c)(3) status. As long as the preacher preaches “the gospel,” the church can organize any way it wants to organize (Untold numbers of preachers, deacons, “Christians“ and the vast majority of “Christian” lawyers and law firms). Incorporate [and get 501(c)(3) status]. It is the “path of least resistance” (Clergy & Professional Tax Conference, (1997) Michael Chitwood, p. 28, cited in Peter Kershaw, In Caesar’s Grip (Branson, Missouri: Heal Our Land Ministries, 2000), p. 72). Incorporate [and get 501(c)(3) status]. Incorporation is not the same as accepting a license. “License” means permission by competent authority to do an act which, without such permission, would be illegal. Incorporation is just a way to hold property (Christian Law Association and Attorney David Gibbs. Horrible logic and a lie about what a corporation really is. Both licensing and incorporating along with 501(c)(3) status violate biblical principle. Just because one is wrong doesn’t make the other right.). Do not incorporate and get 501(c)(3) status. There is no excuse for incorporating or operating as any other type of entity that violates biblical principles regarding separation of church and state. 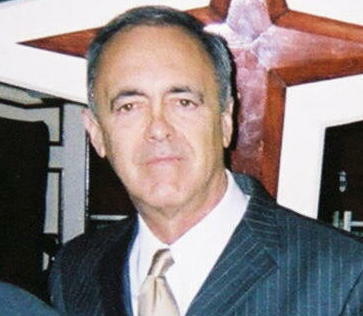 The Lord is grieved when His wife, the church, places herself, even partially, under another’s jurisdiction (Christian attorney Attorney Jerald C. Finney). The authority of those attorneys who encourage churches to incorporate and get the 501(c)(3) exemption is either a false theology, human reasoning based upon a humanist philosophy contrary to principles in the Word of God, and/or a combination thereof. The outcome of their efforts has been not only one nation under man’s law (not under God), but also one church under man’s law (not totally under God). It is impossible to back up their position with a correct interpretation of Scripture. Many of those lawyers and firms that encourage churches to subjugate themselves to the state are there to “help churches, pastors, and members” if they get into trouble. They have seminars all the time in which they go over the constantly changing case law so that churches can continue to modify doctrine, behavior, and speech to comply with man’s ever changing laws, rules, and definitions. They will protect you. Corporate 501(c)(3) religious organizations will need these state lawyers because God will not be there to help no matter how much they pray and no matter the proclamations of such a church and her lawyers that God is blessing their “ministries.” Those lawyers proclaim victories (among mainly obvious defeats) which, in God’s eyes, are no victories at all. Satan is happy to see this continue because he would much prefer that churches voluntarily submit to him. The ultimate results which have been visibly transpiring for many years is the gradual devastating erosion of the law, fewer people being saved due to the demise of New Testament churches and Christianity, moral awfulness, and political anarchy in America. In return, all that “Christian” lawyers who advise incorporation and 501(c)(3) status for churches need is for thousands of churches and individual church members to send regular contributions to support their law firms and pay their salaries while they hob-nob with high ranking civil government officials including Senators, Representatives, and even Presidents. This would be fine if not for the fact that they are not in line with biblical principles. If they were in line with the Bible, although powerful people would have nothing or very little to do with them, many churches might return to God, and God might begin to move and bring positive changes to the churches of this nation. Instead, most corporate 501(c)(3) churches remain in, at best, a lukewarm state. “And unto the angel of the church of the Laodiceans write; These things saith the Amen, the faithful and true witness, the beginning of the creation of God; I know thy works, that thou art neither cold nor hot: I would thou wert cold or hot. So then because thou art lukewarm, and neither cold nor hot, I will spue thee out of my mouth. Because thou sayest, I am rich, and increased with goods, and have need of nothing; and knowest not that thou art wretched, and miserable, and poor, and blind, and naked: I counsel thee to buy of me gold tried in the fire, that thou mayest be rich; and white raiment, that thou mayest be clothed, and that the shame of thy nakedness do not appear; and anoint thine eyes with eyesalve, that thou mayest see. As many as I love, I rebuke and chasten: be zealous therefore, and repent” (Re. 3.14-19). Because some “Christian” lawyers have relied upon man’s reasoning—their own humanistic philosophies and beliefs as well as the humanistic reasoning found in man-made laws and court cases—America has seen a steady erosion in establishment clause jurisprudence, as well as in true biblical preaching and teaching in churches in all areas of theology, but especially in regards to biblical principles regarding the sovereignty of God, church, civil government, and separation of church and state. The word “Christian,” as a noun from a biblical perspective means: “a believer in Christ who is characterized by real piety.” (AMERICAN DICTIONARY OF THE ENGLISH LANGUAGE, NOAH WEBSTER (1828) definition of “CHRISTIAN”) Piety has been defined as follows: “1. Piety in principle, is a compound of veneration or reverence of the Supreme Being and love of his character, or veneration accompanied with love; and piety in practice, is the exercise of these affections in obedience to his will and devotion to his service. Piety is the only proper and adequate relief of decaying man.” (AMERICAN DICTIONARY OF THE ENGLISH LANGUAGE, NOAH WEBSTER (1828) definition of “PIETY.”). “The term church is found, but not specifically defined, in the Internal Revenue Code (IRC). The term is not used by all faiths[. ]” (IRS Publication 1828 (2007), p. 2). 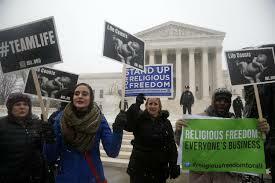 “Churches and religious organizations may be legally organized in a variety of ways under state law…” (Ibid.). “Unlike churches, religious organizations that wish to be tax exempt generally must apply to the IRS for tax-exempt status unless their gross receipts do not normally exceed $5,000 annually” (Ibid., p. 3; see also, IRC (26 U.S.C.) § 508). “The imposition of a tax is, after all, an assertion of power and an ‘application of force’ (Richard W. Garnett, A Quiet Faith? Taxes, Politics, and the Privatization of Religion, 42 B.C. L. Rev. 771, 772 (2001), citing Stephen L. Carter, The Free Exercise Thereof, 38 Wm. & Mary L. Rev. 1627, 1639 (1997)(“It is the application of force, not the happenstance that one is able to apply it with legitimate authority, that generates the power that destroys the specialness of religion.”)). The same is true of the decision not to tax, or to exempt from taxation. A power is no less real that is exercised selectively or indulged with restraint. The decision to exempt certain associations, persons, activities, or things from taxation presupposes and communicates the ability to do otherwise; definitional lines drawn to mark the boundaries of such exemptions implicitly assert the power to draw them differently…. My claim here is that the decision to exempt religious associations from federal taxation may reasonably be regarded as an assertion of power—the power, perhaps, to ‘destroy’—over these communities, their activities, and their expression…. “It is an exemption-and-restriction scheme in which the government extends an invitation to ‘religious organizations’ to receive a tax exemption in return for allowing the government to interpret and categorize the expression and activities of the church. “There is the danger that, having made their own the government’s view of religion’s place, now-humbled and no-longer-prophetic religious associations will retreat with their witness to the ‘private’ sphere where—they now agree—they belong, leaving persons to face the state alone in the hollowed-out remains of the public square…. “And finally, the retreat of religious associations to the private sphere suggests an ill-founded confidence that government will not follow. But it will. The privatization of religion is a one-way ‘ratchet that stems the flow of religious current into the public sphere, but does not slow the incursion of political norms into the private realm.’” (Ibid., pp. 772, 774-777, 779, 796-800 (citations omitted)). How is the 501(c)(3) tax exemption-control scheme implemented? Simply by invitation. In the exemption and restriction scheme, the government extends an invitation to incorporated “religious organizations” to receive a tax exemption in return for allowing the government to interpret and categorize their expression and activities. In effect, this is, as to churches, an invitation which tests (1) the biblical knowledge of churches and church members, especially pastors (as to God’s biblical instructions in the area of church and state); and (2) their love for the Lord. Satan wants God’s children to voluntarily betray God. He probably gets much more enjoyment from this than he would by forcible means. Certainly he knows that he is furthering his cause much more than he would by force and persecution which are always accompanied by many more people being saved, and an increased love for the Lord by His children who glorify God much more when being persecuted. 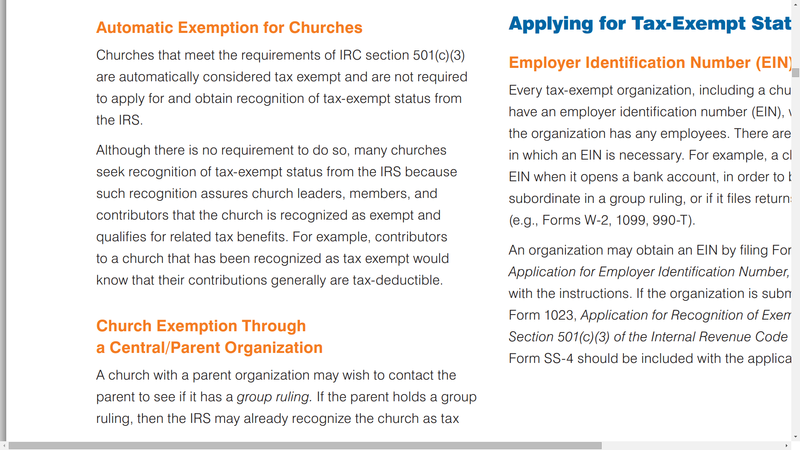 “Although there is no requirement to do so, many churches seek recognition of tax-exempt status from the IRS because such recognition assures church leaders, members, and contributors that the church is recognized as exempt and qualifies for related tax benefits…. Unlike churches, religious organizations that wish to be tax exempt generally must apply to the IRS for tax-exempt status unless their gross receipts do not normally exceed $5,000 annually” (IRS Publication 1828 (2007), p. 3). Would Christians not believe that churches are not required to obtain 501(c)(3) exemption should their pastor teach them the truth of the matter from the Bible? Sadly, most pastors believe the lie that churches must incorporate and obtain a 501(c)(3) status. Most “Christians” rely on their American education rather than God’s Word. They put their trust in the government, and not in God. 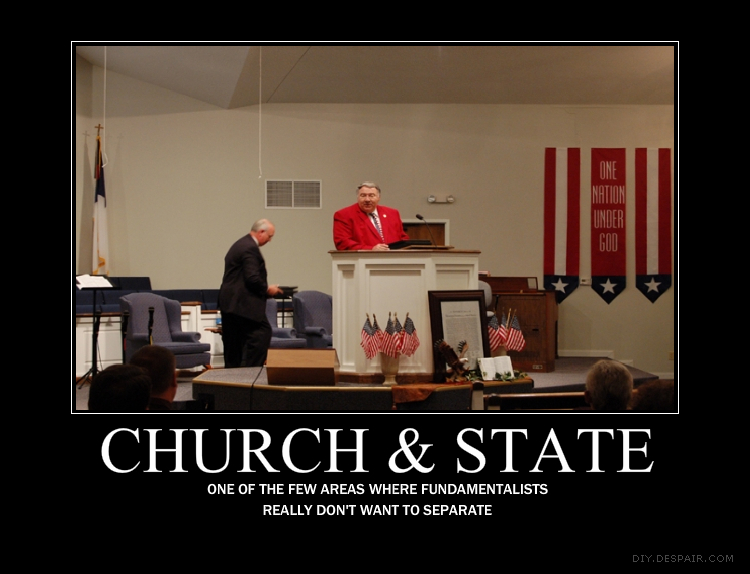 A church is hypocritical if she incorporates and seeks 501(c)(3) status thereby becoming a religious organization which has entered into agreements with the state and federal governments, and then either complains or refuses to comply with the court’s decision after civil government intervenes in her affairs and the church fights the intervention through the court system and loses. After all, that church has already agreed to the sovereignty of the civil government when she signed her corporate contract and obtained 501(c)(3) status.